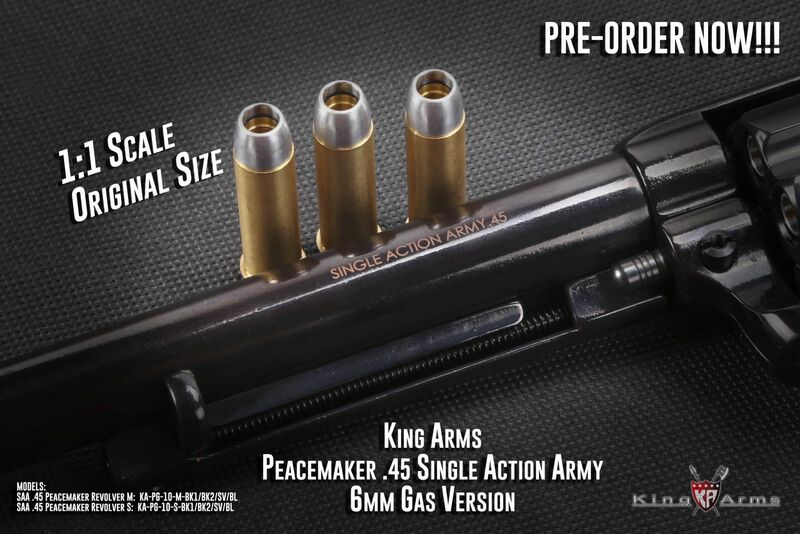 Pre-order Available for King Arms SAA .45 Peacemaker Revolver NOW!!!! King Arms SAA .45 Peacemaker Revolver finally available for Pre-order NOW!!!! Feel free to contact us for more details!! !